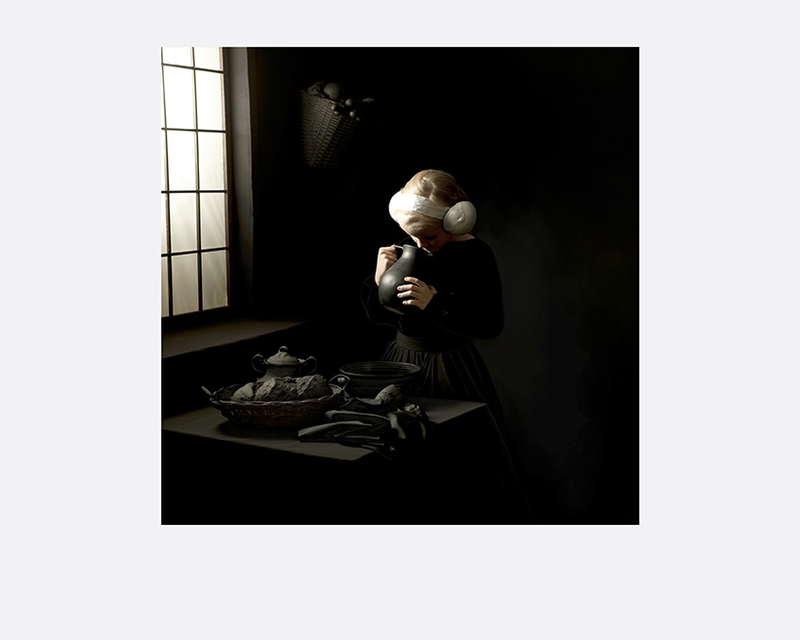 This series of images is inspired by the works of Vermeer, but where the female characters inhabit a black environment, isolated and alone in a timeless space. 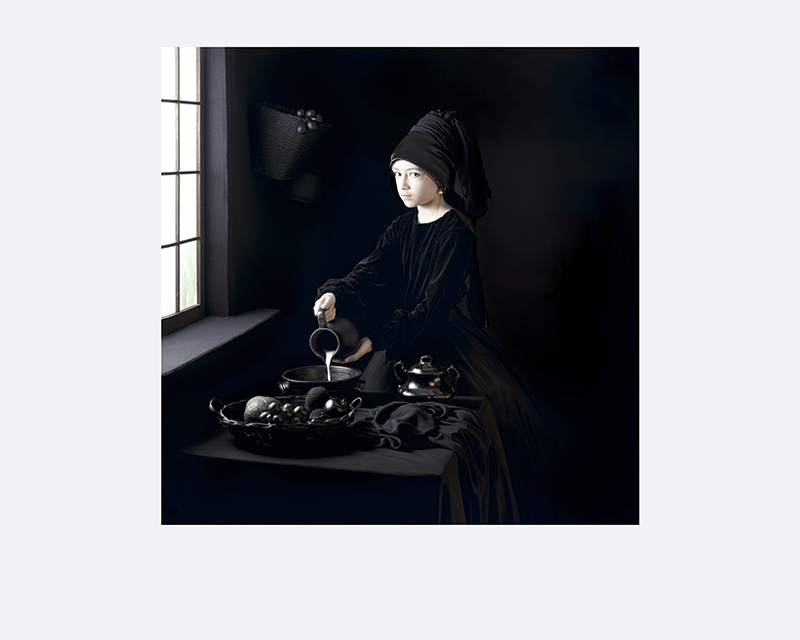 The images are an evocation of a period of my childhood. Adriana Duque [Colombia, b. 1968] graduated in Fine Arts from the Universidad de Caldas in 1997, with a specialisation in digital photography from the Instituto Grisart in Barcelona in 2001. Since 2001, she has been the Professor and Director of the cultural area in the Fine Arts department of the Universidad de Caldas in Colombia. 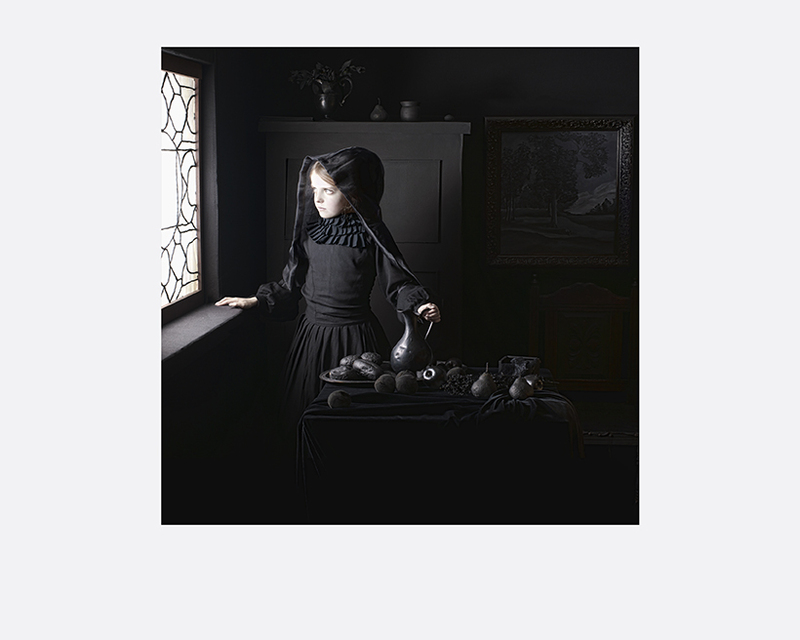 In 2000, Duque had her first group exhibition at the Museo de Arte Moderno de Bogota. Since then, she has exhibited in Brazil, Turkey, Japan and the United States, amongst others. Her latest solo exhibition was at the Zipper Gallery, in Sao Paulo, Brazil in 2014. The awards she has received included the First Prize at the Salon Regional de Artistas, Museo de Arte de Pereira, Colombia (2002); Honorific Mention, Bienal del Caribe, Museo de Arte Moderno de Santo Domingo, Dominican Republic (2001); and the First Prize, Ciclo de Fotografia Alianza Francesa, in Bogota, Colombia (2001).